Another day, another celebrity scandal: this time is good old Sly Stallone to be in the eye of the storm as it has emerged that he paid off his late half-sister Toni-Ann Filiti to stop her filing a lawsuit in which she claimed he had abused her for years. The New York Post has in fact seen papers confirming that in 1987 the movie star agreed to pay Toni-Ann a lump sum of $2million, as well as $16,666.66 a month for life and $50,000 a year to cover her medical and psychiatric expenses. But did the abuse really take place? Sylvester Stallone's mum, cosmetic-surgery fan Jackie Stallone, has dismissed the allegations stating that they were the results of Toni-Ann attempts to find the money to feed her drug problem. "Toni-Ann was on 65 Oxycontin pills a day, and she threatened Sylvester. A drug addict will do anything. When Sylvester became famous, she didn't have to hook. He was trying to help her, he caved in. There were too many conflicting stories. At the time he was very hot, and his lawyers said to give her something just to shut her up." On the other hand, Toni-Ann Filiti's 19 year old son Edd is convinced the story wasn't made up. He declared that despite his mother being portraid as the family black sheep, the abuse did take place and she actually was “screaming about [it] over and over” while in hospital last year before she passed away due to liver and lung cancer. At the time the Rambo star was still mourning the death of his son Sage Stallone, who had died just few weeks earlier apparently killed by an accidental overdose of prescription medications (the cause of death is still unclear) at his Los Angeles home. 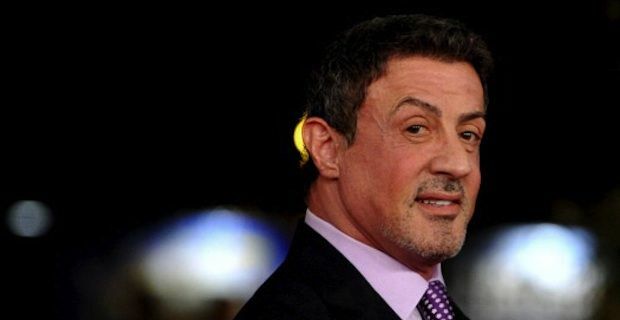 In regards to the payoff, a representative has declared on behalf of Stallone that: "unfortunately, celebrities, politicians and athletes frequently find themselves the targets of blackmail efforts by family members and associates who fabricate claims in order to extort payments from them."